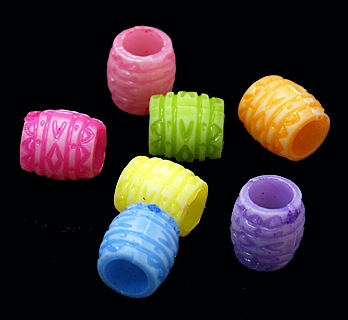 One of the new beads that we've added to our toy line ... great for making your own toys or adding to pre-loved toys to make them new again. 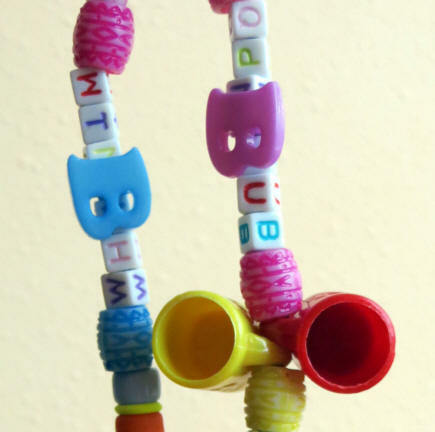 These beads can be slid over knots to hide your knots and make it a bit more challenging for your parrot! The ruffled beads will slide over the top of these beads as well. See the photo above ... wherever there is a knot, it is not hidden under the barrel bead! Makes it a bit more challenging for your parrots!